“One heartbeat away from the presidency, not a single vote cast in my name. Democracy is so overrated.” - Frank Underwood. “I want him obliterated,” Frank Underwood says. “I don’t know whether to be proud or terrified,” Frank says, addressing the viewers. Welcome back indeed! 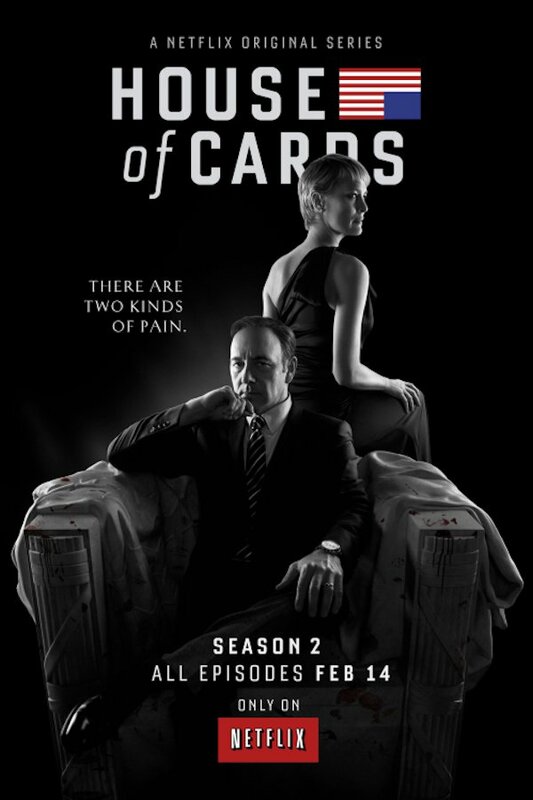 We’re a little more than a month away from the second season premiere of House of Cards. Netflix will drop the full second season of the gripping political drama onto their menu for streaming subscribers on February 14. In addition to the new trailer, Netflix also released the official poster for Season 2. Here it is (via Variety). What will Frank Underwood be getting up to now that he’s Vice President? And who will be made to suffer under his reign? We’ll find out this Valentine’s Day! In the meantime, Netflix has recently made directors commentaries for all of the first season's episodes available streaming.